Maroon “Aggie” Poppy (Papaver laciniatum ‘Grant’s Garnet’). Maroon “Aggie” Poppy (Papaver laciniatum ‘Grant’s Garnet’). 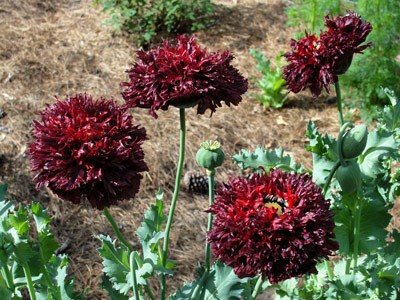 This seedling selection was made and isolated by Greg Grant in his garden from a batch of double red poppies originally collected from a garden near Johnson City. 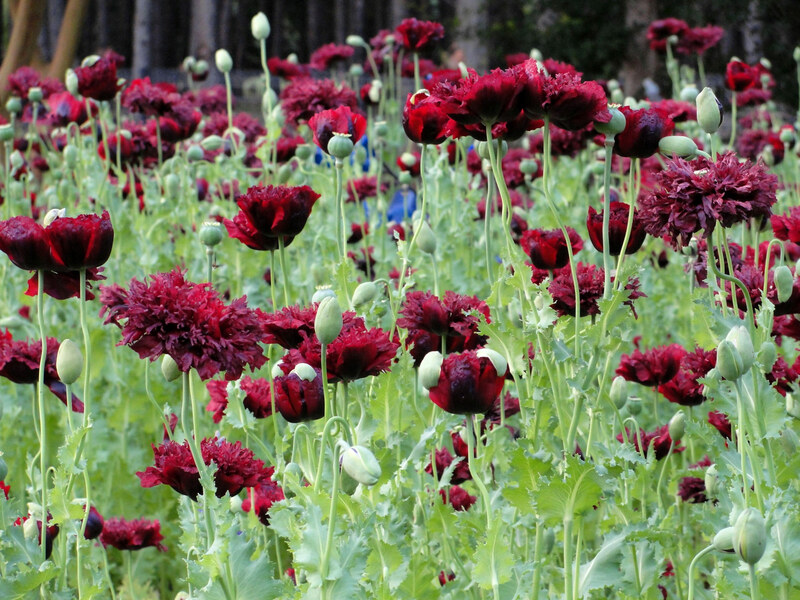 Poppies are cool season annuals that are planted in full sun on bare prepared soil from seed in the fall or transplants in winter and bloom in the spring before setting seed and dying with the heat. Single flowered and red flowered plants should be removed leaving only the double maroons for seed parents. Give each plant a minimum of one square foot to grow. Fertilize once in the spring depending on how the plants look before they bolt and bloom. Don't over fertilize however or they'll will collapse and all over. And PULL UP any singles, reds, or anything not fully double and maroon.